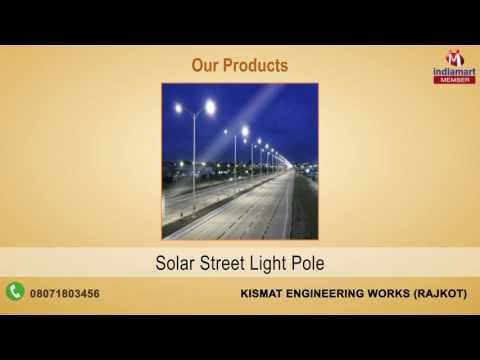 Established in the year 1999, at Rajkot (Gujarat, India), we, Kismat Engineering Works, are a renowned manufacturer and exporter of Lighting Poles, Agriculture Equipment, Cable Trays and many more. All our products are designed and manufactured at our production unit by the experienced professionals making use of optimum quality raw material. In order to meet the diverse needs of patrons, we offer these products in variegated sizes, dimensions and specifications. Clients appreciate our range for their outstanding features such as sturdy construction, dimensional accuracy, corrosion resistant, excellent performance, high functionality, long service life and many others.